As the old man walked the beach at dawn, he noticed a young man picking up starfish and flinging them into the sea. Catching up to the youth, he asked why he was doing this. The answer was that the stranded starfish would die if left until the morning sun. "But the beach goes on for miles and there are millions of starfish," countered the other. "How can your effort make any difference?" The young man looked at the starfish in his hand, then sent it to safety in the waves. "It makes a difference to this one," he said. This story about the starfish exemplifies the power that each of us has--the POWER of ONE. We each have the ability to make a difference in the lives of our patients and our colleagues. As nephrology nurses, we need to consider our impact on the lives of our patients, families and colleagues. We must realize that we can make a difference, whether it be to the patient we support in making a decision to initiate or withdraw from therapy, the family we work with so that they too can support the autonomy of the patient, or a colleague feeling challenged by the decisions patients and families make. On a daily basis we touch the lives of these people. We can support them as they examine their values and make some of the most difficult decisions they may ever make. If just one of us today helps the starfish to safety, we will feel the difference. Recently, the Nephros South officers made a presentation to the Nursing 197, Strategies for Success in Nursing, class. The scope of the course is to provide an overview of the nature of the profession of nursing and practical strategies useful in accomplishing the goal of completing a degree in nursing. Specifically, we were to address two of the course objectives: to identify the roles and responsibilities of a registered nurse and to compare and contrast the educational preparation of registered nurses. Needless to say, this required some deep thought and soul searching for us, remembering back some 15 to 30 years ago, when we were preparing to enter our own nursing careers. After a couple of meetings, several email discussions, many drafts of notes, and a last minute rehearsal in the car on the way over to Palomar College, we were ready to impart our histories, accomplishments and dreams on our captive audience of future nurses. WE WERE READY! We came armed with colorful posters and informative brochures. We expounded on personal and professional histories and experiences. We discussed our educational biases. We enthusiastically described in detail our roles and responsibilities, our challenges and goals. And, yes, we more than adequately advanced the opportunities and benefits of nephrology nursing. Some of their questions and comments, however, brought us back to the reality that our future nurses knew little about nursing, much less nephrology nursing. What really came out of all of this was the realization that each of us was still in nursing because we still want to be nurses. If we did not inspire any of these students, we certainly rekindled our own commitment to continue to care for our patients. Regardless of job title or credentials, we all seek to give our patients the best care possible. Nursing is caring for patients, whether we are nursing administrators, nursing instructors, patient educators, bedside nurses, advanced practice nurses, nurses in research. Nursing is also advocating for each other. What we do lack as a profession is the ability to speak powerfully in a unified way. We have allowed internal conflict over educational preparation and other issues to undermine our ability to negotiate for what we need and want and to support a unified leadership. We are in the midst of a serious nursing shortage. We need nurses. While retaining the traditions which reflect the seriousness and commitment of nursing, we also need to embrace the changes which will advance nursing as a profession to be taken seriously. We can develop technology, but we cannot manufacture nurses. We need to cultivate an environment, in which a desire to become a professional nurse will grow. As the prophet, Kahlil Gibran, wrote Life goes not backward nor tarries with yesterday. By fostering a desire for service in our youth we can encourage more youth to enter nursing, and by mentoring new nurses we can propel them into the future of nursing. Nephros South has established a few goals to advance some of these ideals. Last year we implemented the CARE FOR THE CAREGIVER theme, in which we awarded prizes and gifts at each meeting to pamper and personally appreciate our members. While offering quality educational programs and opportunities for networking, we promoted a fun and caring atmosphere. This year our theme is CARE FOR THE COLLEAGUE, awarding a free membership and/or meeting at each chapter event. 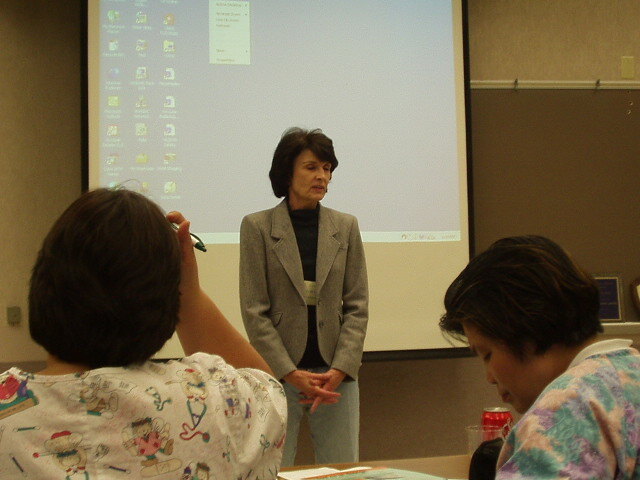 We have plans to educate youth about nursing, to welcome nursing students to the profession, to offer educational programs to patients, to present outstanding educational programs, including the Second Annual All Day Education Program, and, most important, to celebrate the 25th anniversary of Nephros South.